I’m playing catchup on my One Drawing A Day class in Sketchbook Skool. 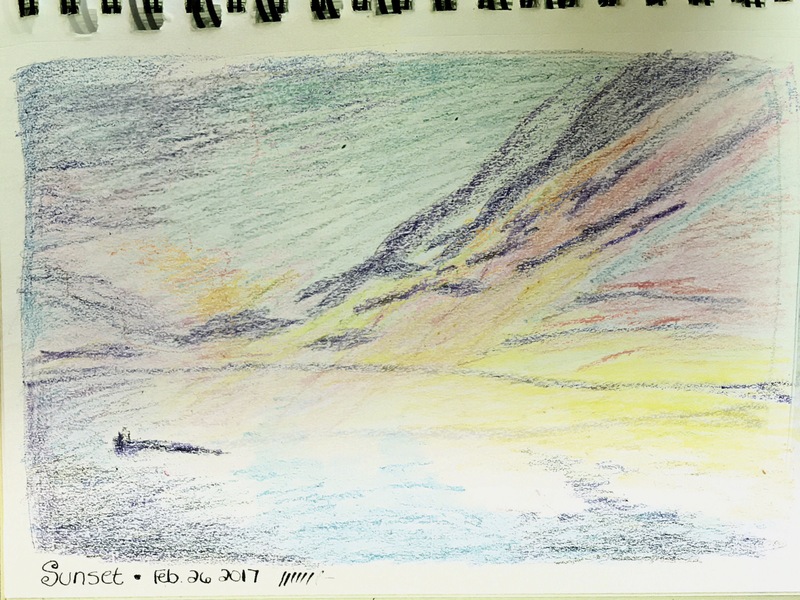 I got too busy for it about a month ago and then fell out of the daily drawing habit. 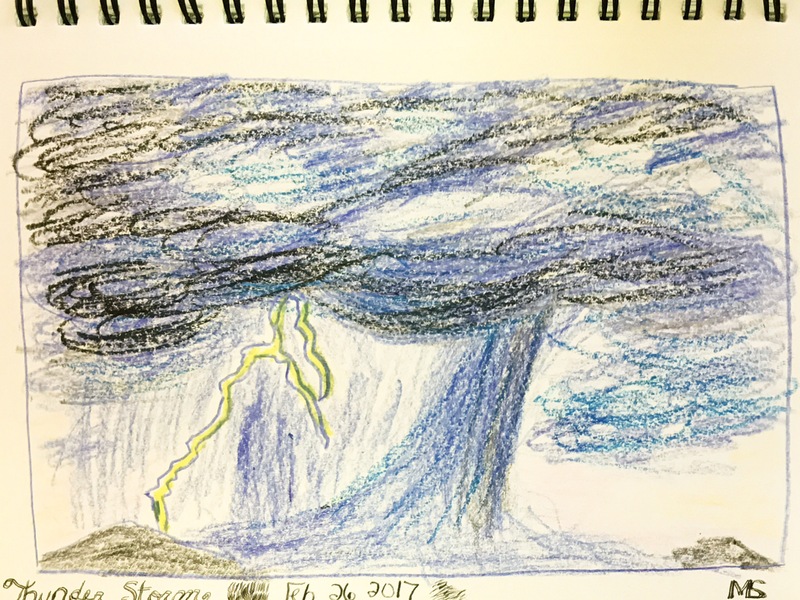 Today the assignment was to draw a sunset and a thunderstorm with crayons. It was so much fun!! I really don’t like the way these scanned. I used Google Scan and usually it’s fine but with these it turned out kinda weird.